NACOGDOCHES, TX (KTRE) - Stephen F. Austin State University’s bells tolled Wednesday in honor of former president George H.W. Bush. Bush, the 41st president of the United States died at his home in Houston on Nov. 30. A state funeral was held in his honor in Washington, D.C. earlier today. 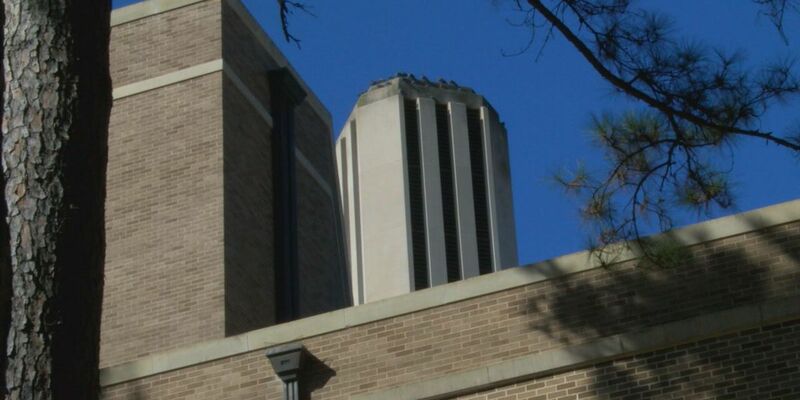 SFA’s bells tolled each hour in Bush’s honor. A total of 12 bell tolls will continue each hour on the hour throughout the night. In addition, a wreath stands before the handprint monument at the Baker Patillo Student Center Spirit Lounge. The handprint monument serves as a tribute to five leaders who have made a permanent impression on the university. Bush made the impressions during a visit to SFA in 1999.